Start taking classes at Barre District and other studios! At Barre District they believe being healthy and fit isn't a fad or a trend. 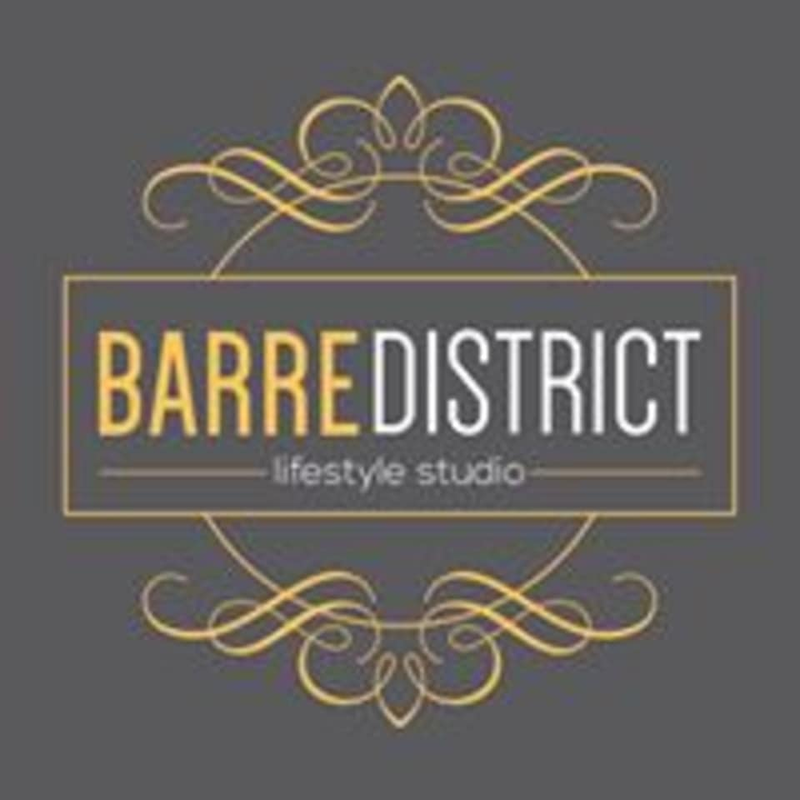 it's a lifestyle Barre District was created because a district is a neighborhood or community: they connect with people in our community to make the barre workout the way they change their bodies and minds. They're happy to live a healthier lifestyle through strength, flexibility and relationships with one another. All of their Barre District Lifestyle studios are community-based and designed to support and promote other small businesses. They seek to create valuable relationships amongst one another and partner with other companies that work to improve the lives of others. Their goal is to provide a space for people to come together to do good, feel good and create better lifestyle habits. Yoga attire is best. Think leggings and comfy top. They do require you wear socks for the class. Grippy socks work best on our floors but please feel free to wear any socks you prefer for the class. They also recommend a water bottle for the class and then they will have everything else you will need to enjoy the class. Loved it! Great workout, and it flew by! Great challenging workout. my legs are definitely feeling it afterwards!! Not what I was expecting based on the description. Not for beginners. Studio is very welcoming atmosphere! Street parking is available in the front of the building . I didnt see a parking lot but they may have one. The style of barre is different than pure barre, they definitely incorporate more stretching into the workout, which I enjoyed. I will definitely be back! Loved this barre class w Danielle! She was attentive to form and gave the class a HARD workout. Will def come back. The instructor Annie was very helpful and kind. This barre class was a lot more stretching than others. I look forward to trying their other class types as well, but the low impact is great! The teacher was so warm, friendly and energetic! It was a good workout in a short amount of time. The class was super fun and easy to follow!